Most players know that c-betting is a basic part of postflop strategy, but many struggle with knowing what c-bet size to use. C-betting stands for continuation betting, which is a bet by a player who was the aggressor on the previous street. Even very competent players fumble their c-bet sizes. For instance, many live players are fond of betting either half- or two-thirds pot, habitually, and no matter the situation. Nowadays, anywhere between 25–100% of the pot is a reasonable c-bet. The trick is to tailor your exact bet size to the given situation. Today we’ll discuss the three of the most important factors to consider when sizing your c-bets. So, let’s get to it! The first thing to consider when c-betting is how to size your bet with respect to your range. Go for a smaller size with a condensed range. With a range that contains mostly low- and medium-strength hands, it’s best to use a smaller size of around 25–40%. The main reason for this stems from the fact that our bet size impacts our opponent’s range. For example, suppose that we open 8♦ 7♦ from the BTN and the BB calls. The flop is then A♣ 8♠ 2♦. Betting small is much better than betting large, here, because it allows us to bet a wider range containing more bluffs and thin value bets. In our specific hand’s case, betting large would be horrible because our opponent is unlikely to call a large bet with a hand worse than 8♦ 7♦. However, we still have a good reason to c-bet at least some of the time, namely, our hand’s potential to deny equity—there are multiple over cards (9–K) to our pair. 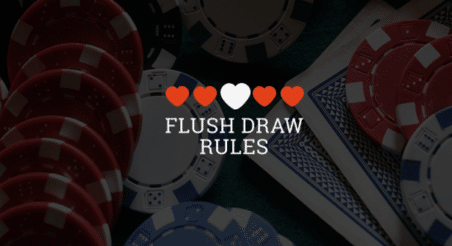 Moreover, our opponent is unlikely to float with combos containing these over cards since any pair he makes on a later street still loses to a flopped top pair. Another reason to c-bet smaller is that we don’t want to face a raise with the hands that we bet for thin value and equity denial. And so a smaller c-bet ensures that we’ll lose less and can fold comfortably. Use a large size when your range is polarized. A polarized range contains only strong hands and bluffs with no medium-strength hands in between. In general, use a larger c-bet size (usually around 66–75% of the pot) when your range polarized. A large bet means extracting significant value with our strongest hands, which we can confidently bet for value across multiple streets. A large bet generates maximum fold equity with our weakest hands, which function as bluffs. If your range is somewhere in between condensed and polarized, use a more middling size (50–60% of the pot). Generally, we c-bet to either get value or deny equity, but board texture largely determines how relevant each of these reasons to bet is, and how much we should bet. On dry and static boards equity denial is usually not very important. This is because hands that are behind our value betting range lack equity and are unlikely to outdraw us on later streets. In turn, we aren’t incentivized to bet larger in order to force fold equity. We should therefore bet smaller. Another reason is that calling ranges are inelastic on dry and static boards, which means the likelihood that our opponent folds to a bet does not increase as we size up. In other words, we can expect a call only from hands that have connected in some way. The rest will have bricked entirely, and the turn and river will rarely change relative hand strength. There’s no need to risk more chips than necessary with our bluffs if we can get the same result with a smaller bet size. To illustrate these points, let’s look at an example. Example: PokerStars $5/$10, 6-Handed. Effective Stacks 100bb. Hero raises to 2.5bb. 4 folds. BB calls. This is a prime example of a dry and static board. Our value bets will be with hands that are unlikely to be outdrawn. So, since we don’t need to worry about protecting our value range, using a large size isn’t necessary. The percentage under each hand represent that hand’s equity versus the other player’s range. As the percentages indicate, our value range has a large equity advantage on this board, and our range as a whole is an approximately 2-to-1 favorite over the BB caller. Consequently, a small c-bet size, perhaps in the range of 1.36–2BBs, is more effective than a larger size. This small size allows us to bluff more efficiently since we risk fewer chips, and it will barely impact our fold equity on this board. More generally, on a way ahead/way behind texture like this one, the big blind’s range contains many hands that play badly as floats (the orange hands with ~20-32% in the chart above), and thus they will likely fold to a bet. Since those hands still have some equity versus our bluffs (7♥ 8♥, 7♠ 8♠, 7♣ 8♥, 8♥ 9♥, 8♠ 9♠, 8♣ 9♣, 9♥ T♥, 9♠ T♠, and 9♣ T♣), getting them to fold to a small c-bet is a definitely a good result. On wet and dynamic boards. Large bets make your bluffs more effective by worsening your opponent’s pot odds, thus generating more fold equity. On wet textures, it is also important to get as much value as the board will allow. For example, if we have 7♦ 7♠ on 6♥ 7♥ 8♥, we won’t be able to bet for value if the turn is a heart, 5 or 9. Any 4 or 9 will also slow us down. This means we need to get chips in the middle while our opponent is willing to call with worse. Example: PokerStars $5/10, 6-Handed. Effective Stacks 100bb. Hero is dealt 7♥ 7♣ in the CO. Hero raises to 3BB. BTN calls. blinds folds. We have only 15 combos in our range that have 80% equity or better versus our opponent (22, 44, 66, 64s, and AA). A significant portion of our value range is comprised of hands that have ~60% equity—an amount that definitely needs protecting. On boards where equities run much closer together, it’s crucial that we charge our opponent the maximum to realize their equity. This is where a larger bet size is required, somewhere around 66–80% of the pot. A larger bet allows us to push more fold equity with value hands that most need it (i.e., A6s, K6s, 86s, 76s, 55, 77, 88), while doing the same with our bluffs (i.e., 75s, 78s, T♠ 8♠, J♠ 8♠, etc.). Finally, it’s crucial to be aware of how your c-bet size shapes the range you’re up against. The larger you bet, the stronger the range you’ll be facing if your opponent calls. For instance, if you use a large bet size across multiple streets, your opponent will fold a significant portion of their overall range on each street. By the river, you can expect your opponent to be holding either strong made hands or a hand that had significant drawing equity on the turn. By contrast, a smaller bet size keeps ranges wide on both sides. Your range will contain many low- and medium-strength hands and plenty of bluffs for balance. Your opponent can justifiably defend by calling with a broad range, given that they don’t need much equity to profitably call. Keep this in mind when navigating turns and rivers—backdoor draws and rogue two-pair combos can catch you off guard! That’s all for today, Upswing fam! Feel free to drop comments and topic suggestions for future articles in the box below, and good luck at the tables! Note: Ready to take your poker game to the next level? Start crushing your tournament and cash game competition with expert strategies when you join the Upswing Lab. Learn more now! ← Molly’s Game Movie Review: Is It Worth Watching?